The Panamera model range combines uncompromising dynamic performance with comfort and incorporates everything that Porsche stands for: the passionate crafting of highly efficient sports cars. Once again, our engineers have made further advances in this respect. 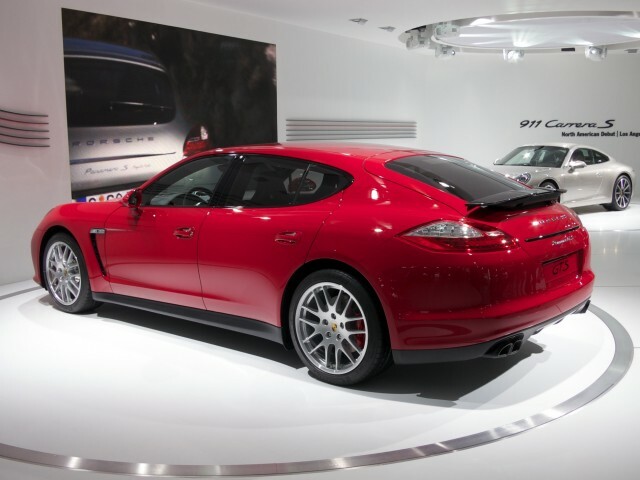 The result is the Porsche Panamera GTS – sportiness in pure form. GTS. These are three letters that have secured themselves a place in history alongside the Porsche name, both on and off the racetrack. Three letters that symbolise the marriage of supreme performance and superior sportiness in a single car that is suitable for everyday use. What exactly is it that distinguishes the Porsche Panamera GTS concept? The answer may lie in the following facts: a 4.8-litre naturally aspirated engine delivering 316 kW (430 hp) power output and 520 Nm torque, 7-speed Porsche Doppelkupplung (PDK) and active all-wheel drive. Yet, pure facts alone are not an adequate way to describe the character of the new Panamera GTS. This car does more than simply bridge the engine power gap between the Panamera 4S and Panamera Turbo, it emerges as the sportiest model in the Panamera range with a clear focus on performance. For this reason, we gave it everything we could to make it more responsive, emotive and sporty, aesthetically and technically, inside and outside. Typical Intelligent Performance. How can one describe the appearance of the Panamera models? A low, wide stance, a sleek roofline: true sports car proportions. The front, shoulders and rear all have instantly recognisable Porsche traits. The face that stands out in the crowd. However, the Panamera GTS goes one step further. Even closer to the road, its sporty character is even more clearly demonstrated. Let’s start at the front. The Panamera GTS is equipped as standard with Bi-Xenon main headlights, each with four LED daytime running spot lights. These have been carried over from the Panamera Turbo, but with one difference: the inner trims are finished in black. These are matched by the front light units taken from the Panamera Turbo, with LED light guides as a border for the indicators. Other Panamera Turbo styling features include the SportDesign front apron with large air intakes on the right and left for supplying air to the two GTS-specific air filter modules (refer to the ‘Engine’ section for more information). The side air outlets behind the front wheels are finished in high-gloss black. So, too, are the side window trims, the covers of the headlight cleaning system, the trim strip on the rear and the rear diffuser. As a stylish complement, the lower section of the Panamera GTS is finished in matt black. Starting from the side ends of the front apron and moving back along the door sills through to the rear apron and the tailpipes of the sports exhaust system, the line drawn appears more dynamic. In conjunction with the 10 mm lower suspension, the contour accentuates the sporty overall impression. For greater downforce and driving stability at high speeds, the Panamera GTS is equipped with the Panamera Turbo rear spoiler. From a speed of 55 mph (90 km/h), it deploys automatically not only upwards but outwards, too. To cope with the increased engine power output, the Panamera GTS is equipped as standard with 19-inch Panamera Turbo wheels and the brake system of the Panamera Turbo, recognisable by the red brake calipers. The Panamera GTS is available in the same exterior colours as the other models in the Panamera range. An additional colour, Carmine Red, is available as an option. Set against contrasting black, it creates a sportier effect. 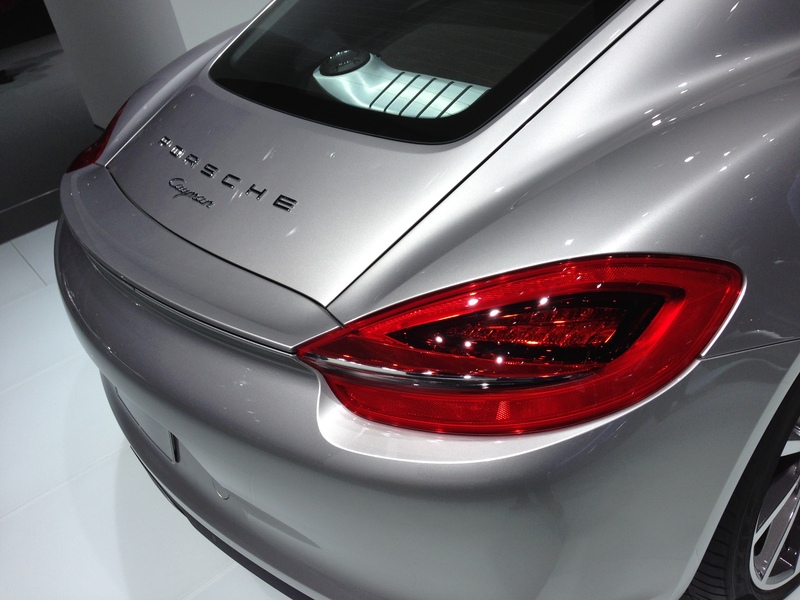 The ‘Panamera GTS’ logo on the rear hatch and the optional logos on the lower edge of the front doors add the finishing touch to the overall appearance. Sportiness in pure form. Be honest, would you have expected the Panamera GTS to be anything else? You notice it instantly as you open the door. Uncluttered and ergonomic, the interior is typical of a Panamera and, yet, it looks sportier. This is achieved by the combination of leather and Alcantara as standard, available in a choice of five interior colours. The seat centres of the adaptive sports seats, the upper sections of the door armrests, the armrest on the front centre console and the rooflining are all finished in Alcantara. The SportDesign steering wheel with alloyed gearshift paddles is fitted as standard. As an option, you can have the steering wheel rim finished in black Alcantara. Specially conceived for the Panamera GTS, an optional trim package with a choice of two colours is available in conjunction with the black interior. The decorative seams on the dashboard, seats, armrests of the centre console, doors and floor mats are finished in Carmine Red or GT Silver. The headrests on all four seats are embroidered with the ‘GTS’ logo in the same colour. To match, the seat belts at all four seats are also finished in Carmine Red or GT Silver. The two-tone combinations and natural leather interiors of the other Panamera models are also available as an option for the Panamera GTS (the Alcantara finish is not included as part of these packages). What else is worth mentioning? The ‘GTS’ logo on the rev counter and the door sill guards in brushed aluminium featuring the ‘Panamera GTS’ logo will increase your anticipation as you step inside.